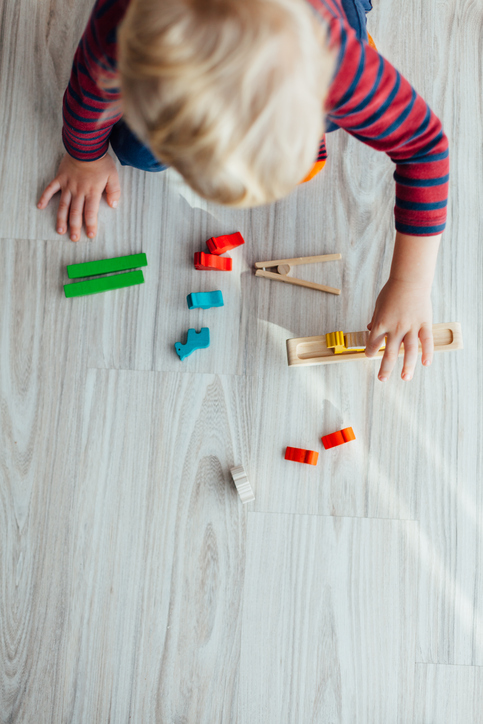 When the Department of Education introduced its pilot feasibility program, Pay for Success, it also introduced grants to support the preschool initiatives. The Pay for Success program targets children from under served, disadvantaged areas for additional early education opportunities. The overall goal is to increase proficiency and Kindergarten readiness in the areas of math and reading; as well as improving cognitive and emotional and social skills. The disadvantaged areas were targeted because early research indicated that children in these areas area, are the ones most likely to lag behind their peers, due to a lack of either financial, social or socioeconomic resources. The children served by the grant program funding also include those suffering because of disabilities. To ensure that these children develop socially and emotionally is one of the goals of the pilot program. The feasibility studies requires documentation and certain standards have been set as benchmarks. The documentation is going to be used to measure the program. The program, Pay for Success was created as a successful merger of early education prompts with special education initiatives; to produce long-term positive outcomes for all participants. Pay for Success grants for preschool evolved into the awarding of $3 million to eight organizations. The state government programs selected included: Minnesota, North and South Carolina, Oregon, Ohio and California. The organizations were identified as the Minnesota Department of Education, the Mecklenburg County Government, the Legacy Charter School, Clatsop County, Cuyahoga County Office of Learning and the Napa Valley Unified School District, the Santa Clara County Office of Education, and the Ventura Office of Education, respectively. Each award recipient must present an assessment at the end of a set period of time. The grants for preschool require an on-going written assessment to measure and compare the program initiatives to the cost benefits. The hope is to produce children who are better prepared for Kindergarten, with fundamental emotional and social skills. As with any pilot program, there’s a list of mandatory objectives that must be met. Included are five “innovative” program objectives, which were discovered from examining the results of a case study. In the case study two strategies emerged: alignment of set educational instructions starting with preschoolers and continuing until 3rd grade and “differentiated instruction.” The participating preschools in the case studies were: Boston Public Schools, Child and Parent Centers in Chicago and Saint Paul, Early Works in Oregon, and FirstSchool in North Carolina and Sobrato Early Academic Language Academy (SEAL) in California. Using data from the case study, the Department of Education developed the pilot feasibility program, Pay for Success. The plan is to increase the quality of early education for disadvantaged children, so that they’re presented with identical preschool opportunities as other children. Thus aligning the educational requirements, making them the same for all preschoolers. The five participants in the case study helped identify the educational strategies for the grant program. In the end, the Department of Education is striving to give disadvantaged children equal access to early preparation for Kindergarten.